We believe that it is important for engaged or newly-wed couples to start out on the right path. Each person in a relationship brings in hopes, dreams and expectations. 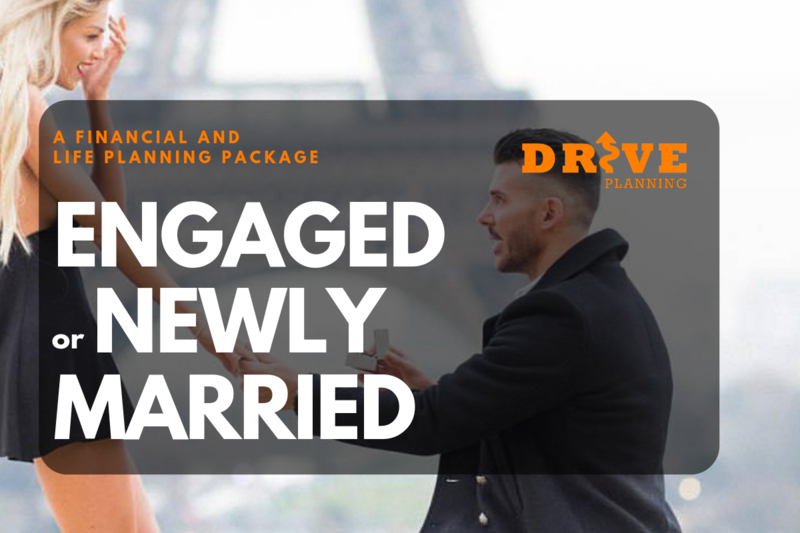 Drive Planning creates a platform for a couple to understand each others desires and create a path to achieve them together. This planning package allows for couples to explore their Love Languages, Communications Strengths, Weaknesses and natural tendencies. An understanding along with a plan will ensure that a couple stays Relationally Rich. How many times have you ever seen a couple get married only to let the busy nature of life and married life interfere with their zest for working out and their personal fitness routines. Our goal is to help couples create goals and routines to achieve individually and as a couple. A personal fitness plan is one of the best ways to deal with some of the new stresses that accompany a new lifestyle. Finances are one of the leading causes of stress/arguments in a relationship. Creating a plan together allows for Drive Planning to work as a team with the couple to achieve their Hopes and Dreams but also to address the roadblocks that can become stumbling blocks. So, no more having to rely on advice from in-laws/outlaws and relatives; our team is here to help guide you on the road to financial freedom. This approach to starting well will ideally allow you to finish well! If you feel this is a program that would benefit you or someone you love please contact us to learn more through a phone call or visit to one of our offices.